It’s interesting how the lives of holy people often intersect. Throughout the history of the Church we have many stories of saints who were friends with other saints, and it’s often been said that saints beget saints. 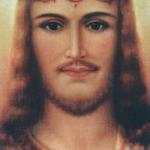 Well, we may be one step closer to having a formally recognized “saint” from the US! After an informal preliminary investigation, the formal cause for beatification and canonization for Rhoda Wise, a wife, mother, convert, mystic and stigmatist from Ohio, will open this October. Rhoda’s story is amazing – she was miraculously healed from tremendous physical sufferings, and she also endured much suffering for love of God and souls, sharing in the passion wounds of Our Lord for the last six years of her life. She also had an important role in the early life of Mother Angelica. Rhoda, while still a Protestant, had learned of St. Therese from Sr. Clement, one of the Mercy Sisters who cared for her in hospital. Sister gave her a St. Therese novena prayer, as well as a small shrine, and a devotion to the French Carmelite saint developed. Eventually, St. Therese herself appeared to Rhoda and healed her of a very painful open wound on her abdomen, which doctors had said was incurable. 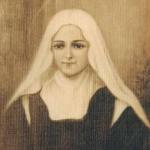 When a teenage Rita Rizzo was afflicted with a very painful stomach ailment, her mother took her to visit the local mystic, who gave her a copy of the novena to St. Therese. On the ninth day, Rita woke up to find that her dropped stomach was cured, and it was this miracle that helped her to first realize how much God loved her. Her response was whole-hearted and enthusiastic, leading her to give herself completely to God in religious life. Our Lord once told Rhoda that Rita would do great things for the Church. “My Rita?” she asked. Who but Our Lord could have known that a feisty young girl with a difficult childhood would go on to found a global television network and, more importantly, teach the world the beauty and value of suffering. In this, she was just like her friend, Rhoda Wise. Rhoda entered into eternity on July 7, 1948. Today begins the annual novena leading up to this anniversary. Here are the novena prayers, taken from the official website of the Rhoda Wise home. Please visit the website to learn more about Rhoda’s life and the many miracles God worked through her. My Friend, you are my true Friend. My only Friend. You take part in all my misfortunes. You know how to turn them into blessings. You listen to me with great kindness when I tell you all my troubles, and you always have something with which to heal my wounds. I find you wherever I go. You never weary of listening to me. I am certain of being loved by You, if I but love You. My worldly goods are of no value to you, but by bestowing yours on me You never grow the poorer. However miserable I may be, no one more noble, more clever, or even more holy, can come between You and me and deprive me of your friendship. O Lord Jesus Christ, our Mediator with the Father, Who has appointed the most blessed Virgin, Thy Mother, to be our Mother also and Our Mediatrix before You; grant that whoever draws close to You to beseech any benefit may receive all things through her and rejoice. You live and reign with the Father and Holy Spirit, one God, forever and ever. Amen. An Our Father, Hail Mary , and Glory be for the intentions of Rhoda Wise. This entry was posted in Mother Angelica, Saints & Angels and tagged healing, Mother Angelica, novena, Rhoda Wise, Rita Rizzo, saints by texasnuns. Bookmark the permalink. One of their sisters was also important in the early days of Alcoholics Anonymous but to my knowledge they haven’t opened any cause for her. I gave Fr. Seitz one of their videos about her back in the day because at the time he was interested in AA for some reason. I think he watched it. Thanks for sharing that info. We knew about Sr. Ignatia (Ignatius Press published a book about her called The Angel of AA) but didn’t realize the connection between her and Sr. Clement. I visited Rhoda Wise home and the most calming peaceful feeling is in that place.i sat in the chair where Rhoda saw Jesus the pain in my back left.i win be going back in july for some water.&just to sit in that chair &pray.